Laura said: “The staff themselves (some of whom have been working within the NHS for over 36 years) are calling for the trust to keep them in house, employed by the NHS and not by a private company. Together with UNISON, I support the domestic staff’s position on formally declaring an industrial dispute. It’s a decision they haven’t taken lightly, but they’ve been left with no other option. “We have seen the catastrophic failings of private companies like Carillion, Circle and Serco, and the harmful and disruptive consequences. I, along with UNISON and the PAH domestic staff have little confidence that any private company can deliver these incredibly important services without compromising on worker’s pay, hours and rights. 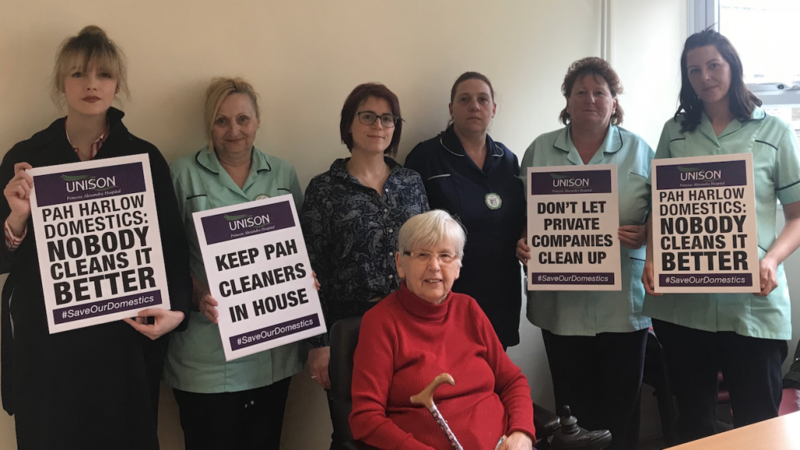 “The Domestic staff at PAH are an incredibly hard-working group of workers, they desperately want to remain within the NHS. They have set up their own petition which is gaining a huge amount of support from the public. UNISON regional organiser Caroline Hennessy said: “We’d like to thank Laura for supporting PAH’s domestics in their fight to stay part of the NHS. 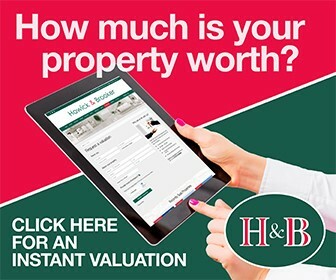 “The Trust board is increasingly isolated, with figures from across the political spectrum opposing its plans and thousands of Harlow residents speaking out against them. 6 Responses to "Harlow’s parliamentary candidate backs domestic staff campaign at PAH"
Typical Labour. The politics of placards! Why doesn’t she try getting to the bottom of the actual problem for once! Why doesn’t she actually book an appointment and go see him, and get both sides before digging out the placard! This attack on the conditions of the cleaners at our local hospital is a small part of the class war that has been waged against working class people for years. Working class people are under attack, and the Prospective Labour Party candidate is taking their side. This is a good thing. Well done Laura McAlpine! I really hope this doesn’t happen as it critical that we remain one team dedicated to provide a quality environment of care. This team is just as important as any other team but you would never support the privatisation of Doctors or nurses. They keep us all safe. One dedicated team making the difference. Support them as you may need them one day. It was great that Laura took the time to come and meet with domestics at the hospital. She really understands why the domestics at PAH want to remain part of the NHS and not be outsourced to a private company. In the interests of balance, will YourHarlow also be publishing Robert Halfons visit to them too? PTK..yes does that war against working people include the 133 labour mps who disregard the leave voters in their areas?Im all for ending the war against working class people in the UK..are you?